I was trying to install Oracle Database 12c on my CentOS 7 system but seems not working very well. After several times attempting to install, finally I can get it working on my CentOS 7. 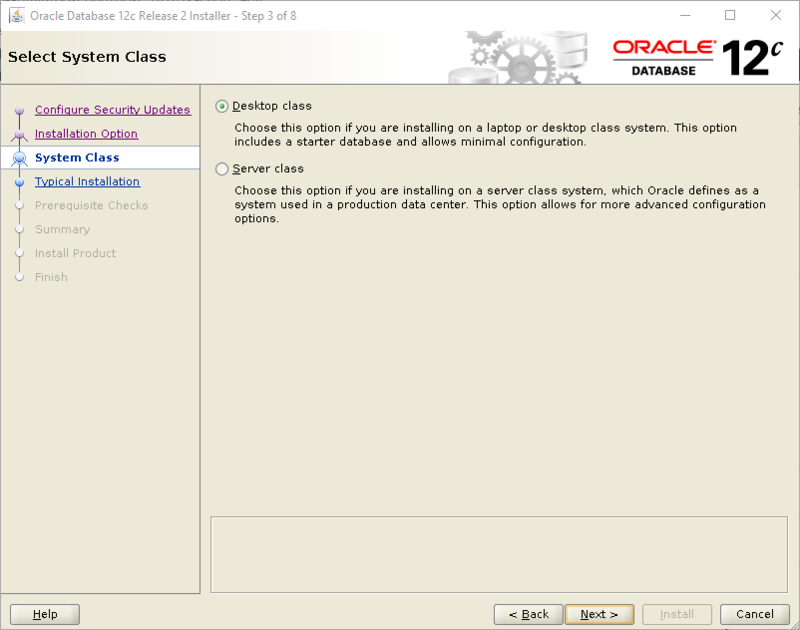 I was successfully install Oracle 12c on my Oracle Linux 7. 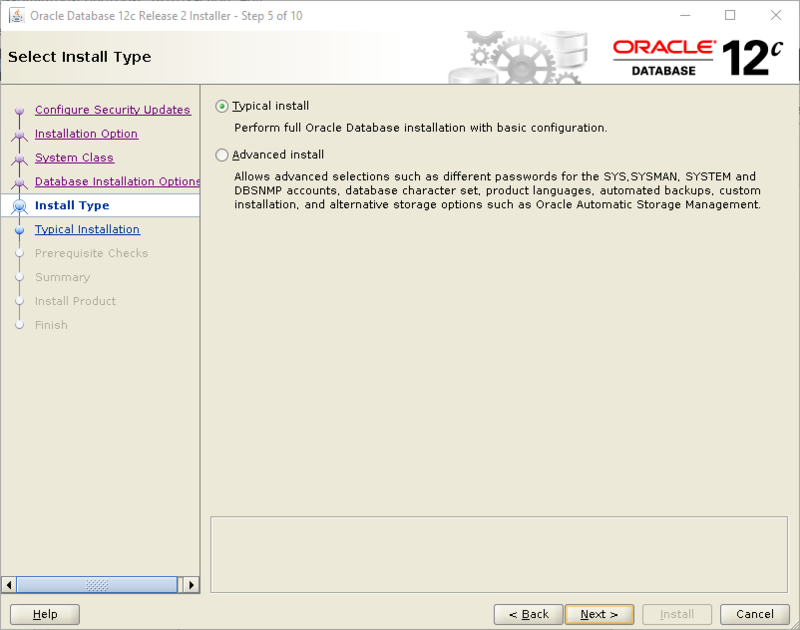 Now I want to share how to install Oracle Database 12c on CentOS 7. There are several things we need to prepare prior to the installation. It takes some times but I think it’s worth your time. For your information, I am installing Oracle 12.2 on CentOS 7.6. It is important to correctly set the hostname. You may need to edit the hosts file and add the new hostname to your system. In this case, I have disabled the SELinux. You can check the SELinux status using sestatus command. Also, it is good to check the firewalld status. As you can see, my firewalld is not running. Navigate to the following website to download the Oracle 12c for Linux x86_64. You will have a zip file called something like this: linuxx64_12201_database.zip. Save it to your Download directory. The installation steps consist of several tasks. Now we are going to extract the zip file we’ve downloaded into the /stage directory. You can change it to any directory as you like. Create directories for Oracle 12c software and database file. So basically, we will create two different directories. One for Oracle Database software (u01) and one for database files (u02). Now execute this command to open the Oracle installer GUI. Please note that you must run the following command as oracle user. Do not use root user. Then the installer GUI will show up. Follow the on screen installation wizard. Most of the wizard is pretty self explained. Pay attention to the following step. 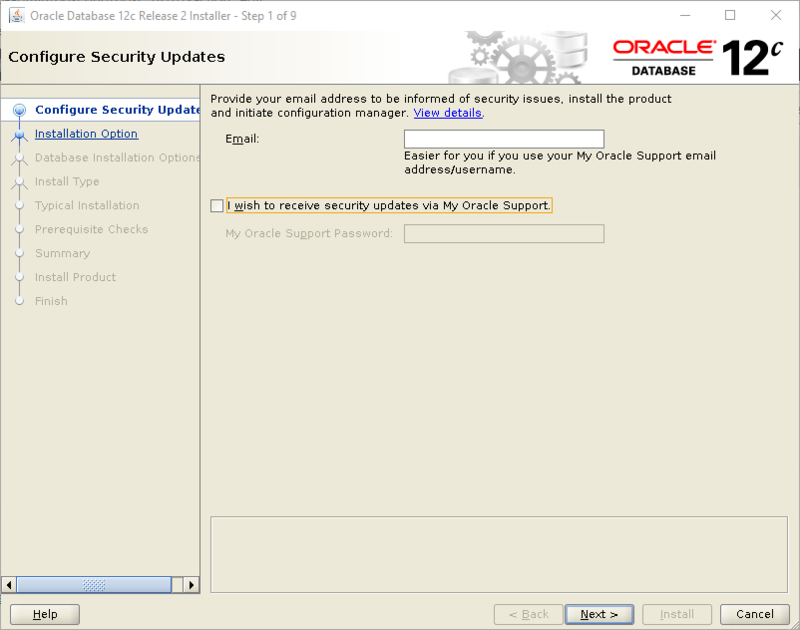 In this example, I unchecked the security update option. Choose Desktop class. Or you can also choose the server class for more advanced configuration option. Pay attention to the following step. We need to provide the following information. Most of these information is automatically filled. But, you will need to ensure and make any changes needed. Make sure to make change accordingly. Most of the time, you will need to adjust the global database name and pluggable database name. Also the next one. 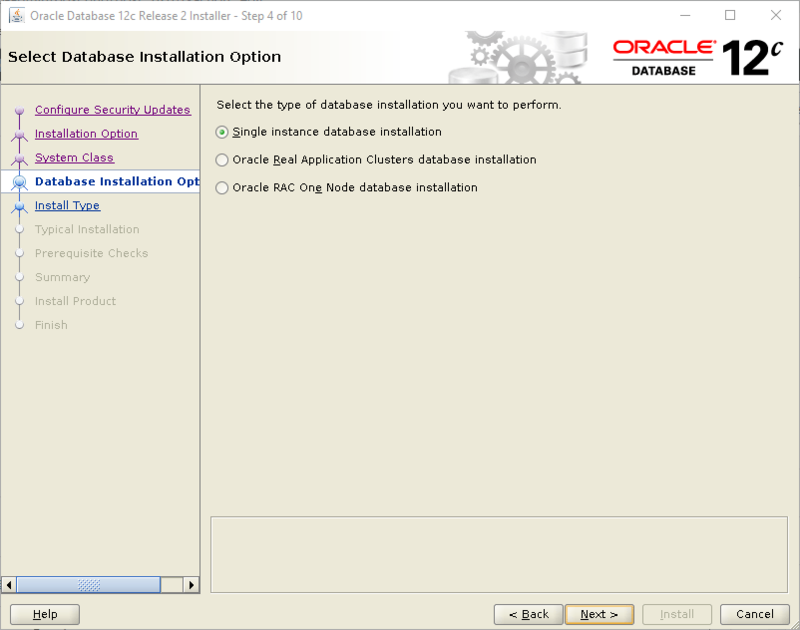 You will see an installation summary for the Oracle database installation. Hit install button to start the install process. The installation process will take some times. If you see the following window appear, this mean we need to execute the command shown in the window in a Terminal console. So, open a new Terminal and then execute those two commands as root. 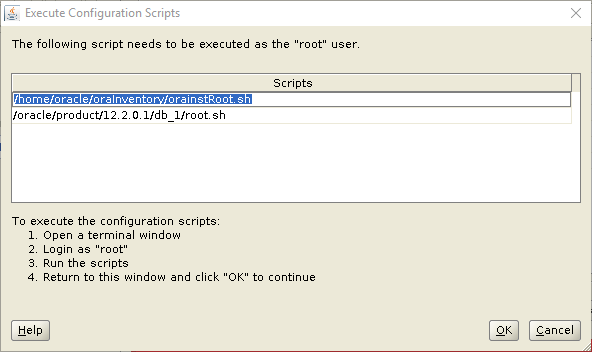 After the command executed, hit OK.
You can follow the installation in a separated window. When the install process completes, you should see the following window. Now you can log in to the Oracle Enterprise Manager via web browser. 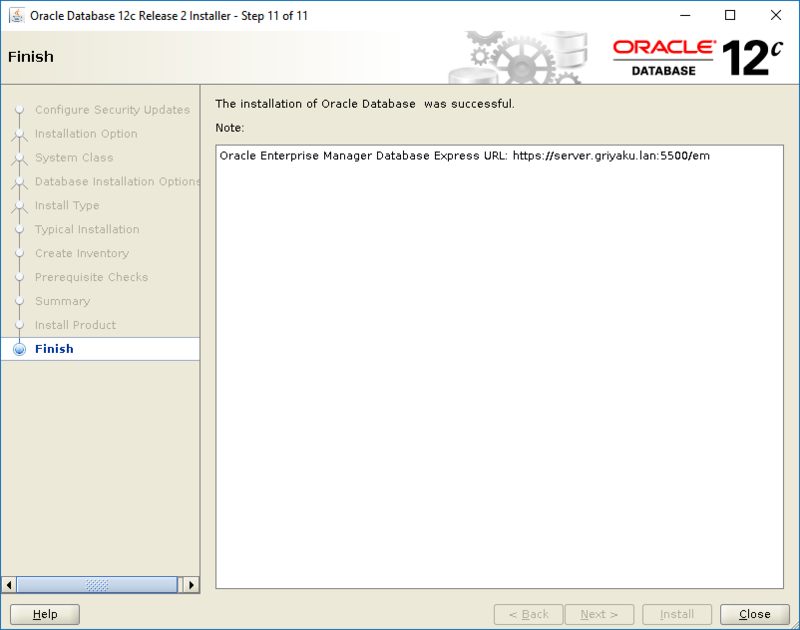 Now you can login to the Enterprise Manager using the url shown in the last step of the Oracle installation. We still have some tasks to do to complete the Oracle 12c Installation on CentOS 7. Edit the file .bash_profile under the oracle user home directory. Then, copy and paste the following line. Do not forget to change the details with yours. I cannot say that installing Oracle Database 12c on CentOS 7 is for everyone. You will need a basic understanding of Linux command line and system. But don’t worry, there are many tutorials on the internet that will guide you through the installation steps. I hope you enjoy this tutorial and see you next time.